Showcasing the new face of Acura, the restyled 2017 MDX is highlighted by the bold and distinctive diamond pentagon grille, first seen on the Acura Precision Concept that debuted at the North American International Auto Show in January. 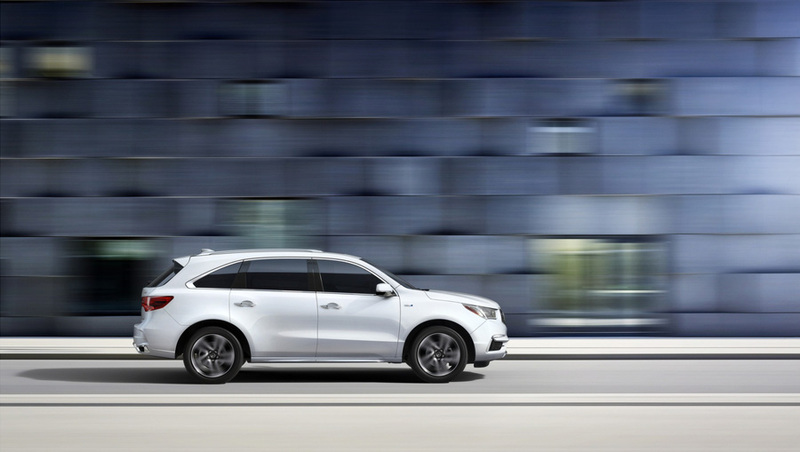 The new Acura grille is integrated with a more sharply sculpted hood, front fascia and front fenders coupled with new LED fog lights and restyled Jewel Eye™ headlights, which enhance the MDX’s distinctive and sporting demeanor. A new chrome rocker panel design adds an element of contrast to the MDX’s profile, while a revised rear bumper, body colored skid garnish and the addition of twin tailpipes further emphasizes the performance character of the 2017 Acura MDX. 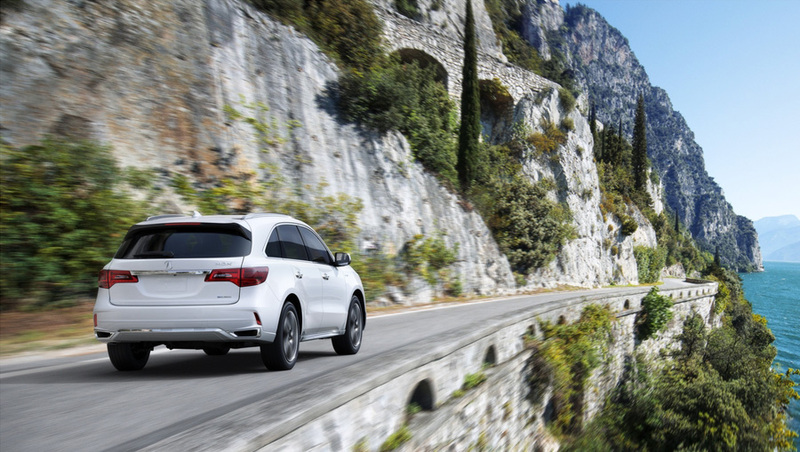 All 2017 MDX models benefit from increased standard luxury and technology features, including an Electric Parking Brake with Automatic Brake Hold, Auto High Beam headlights, SiriusXM Radio® 2.0 and four 2.5-amp USB charging ports. Technology and Advance packages add Bi-Directional Keyless Remote Engine Start, two new 20-inch wheel and tire options, power folding side mirrors, and HD Traffic. In addition to these features, Advance grades add LED fog lights, genuine Olive Ash Burl or Black Limba wood interior trim, a heated steering wheel and Surround-View Camera System with six selectable viewing angles. 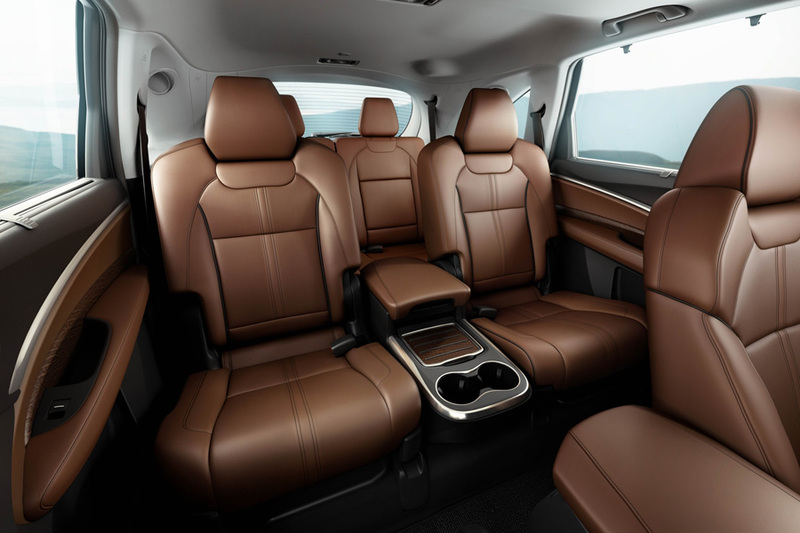 Advance models can also be equipped with two second-row captain’s chairs and a center console with two additional USB ports, replacing the three-person second-row seating found on lower grades. An ultra-widescreen Rear Entertainment System is also available on models with the Advance ENT Package. 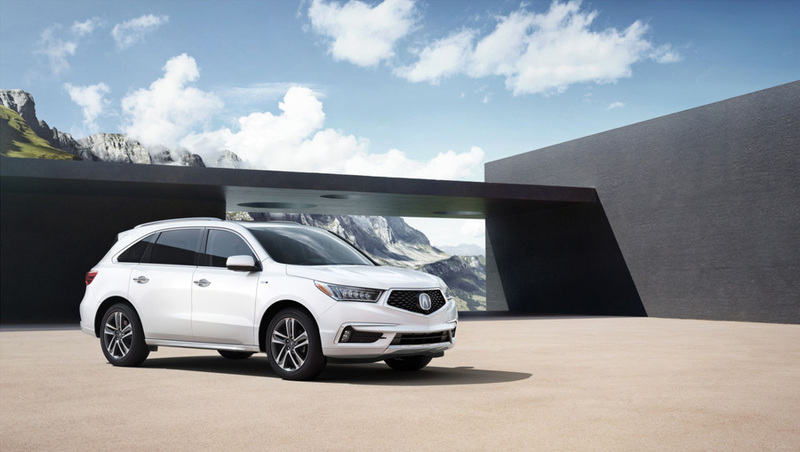 The 2017 MDX Sport Hybrid is the third model to feature Acura’s innovative three-motor Sport Hybrid SH-AWD powertrain, joining the Acura NSX supercar and RLX flagship sedan to deliver the ultimate in power and control. The 2017 MDX Sport Hybrid is powered by a 3.0-liter DOHC V-6 engine with Variable Cylinder Management™ (VCM™) mated to a 7-speed dual clutch transmission (7DCT) with an integrated electric motor powering the front wheels, and a Twin Motor Unit with two electric motors providing power to the rear wheels. Additionally, the system delivers electrified torque vectoring for improved straight line performance and cornering precision in combination with all-wheel-drive power application. Peak powertrain output of 325 horsepower is up 35 horsepower over the non-hybrid model. 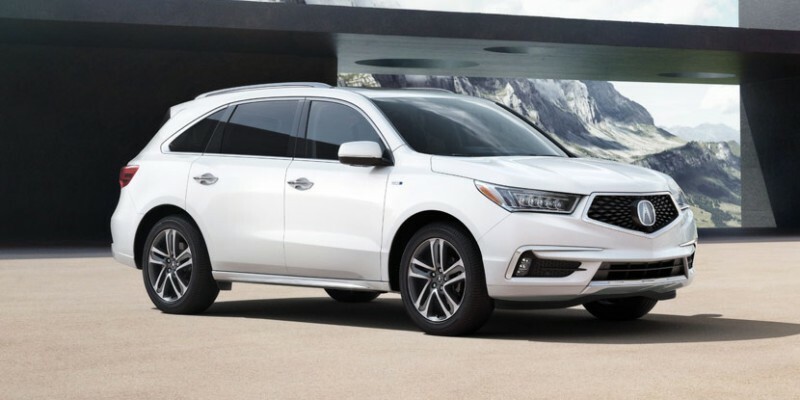 The MDX Sport Hybrid is anticipated to receive EPA fuel economy ratings of 25/26/26 (city/highway/combined), an estimated 7-mpg city fuel economy rating increase over the (non-hybrid) MDX with SH-AWD. All 2017 MDX models receive the AcuraWatch suite of advanced safety and driver-assistive technology as standard equipment, including Collision Mitigation Braking System (CMBS) with automatic emergency braking, Lane Departure Warning (LDW), Forward Collision Warning (FCW), Lane Keeping Assist (LKAS), Adaptive Cruise Control (ACC) with Low-Speed Follow (LSF) and Road Departure Mitigation (RDM). AcuraWatch uses a millimeter wave radar and monocular camera sensing technology to detect other vehicles as well as lane markings and can help intervene to prevent or mitigate the severity of a collision. Moreover, with Adaptive Cruise Control with Low-Speed Follow and Lane Keeping Assist, AcuraWatch can significantly decrease the driver’s workload during freeway cruising by maintaining a set speed and following interval, initiating both braking and throttle inputs, and adding steering input to help the driver maintain their position in the detected lane. 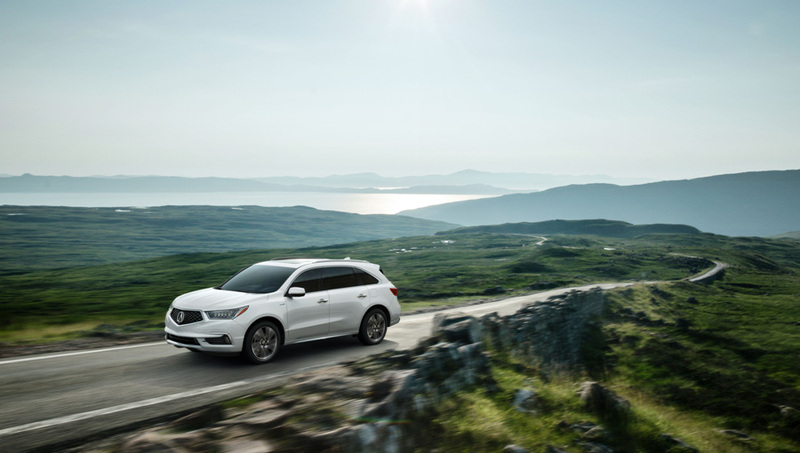 The Acura MDX is the best-selling three-row luxury SUV of all time and Acura’s best-selling SUV, with sales topping 50,000 units in each of the past three years. The 2017 MDX was designed by the Acura Design Studio in Torrance, Calif., developed and engineered at the R&D center in Raymond, Ohio, and will continue to be produced at the company’s Lincoln, Ala. auto plant using domestic and globally sourced parts. In early 2017, an additional production source for MDX will be added at the East Liberty, Ohio auto plant.